Tangerines come out in 15 Kg boxes. Their peel is thin and have no seeds inside. Their taste is really sweet and refreshing, easy to peel off, due their peel detaches easily with our hands to get their clusters directly. Well suited to eat out from home, as desert, snack or picnic. It is the sweetest candy, perfect for "among meals" eating. Our tangerines (also clementines) are grown in Carcaixent, Valencia´s village known as "The cradle of oranges". Thanks to their taste and natural freshness, are capable of satisfying the most demanding gourmets. Due to their amenity, are ideal for travel, or to recover after intense physical or highbrow activities.Take them at your backpack or bag. At the gym, after jogging, workout or cycling, at the office or library. Every moment is perfect to enjoy a delicious and healthy tangerine. Tangerines are well known as fibre contents, as well as their diuretic properties. They also have great bronchodilatory and anti-inflammatory action, really suitable to fight or avoid colds. Also great detox properties. 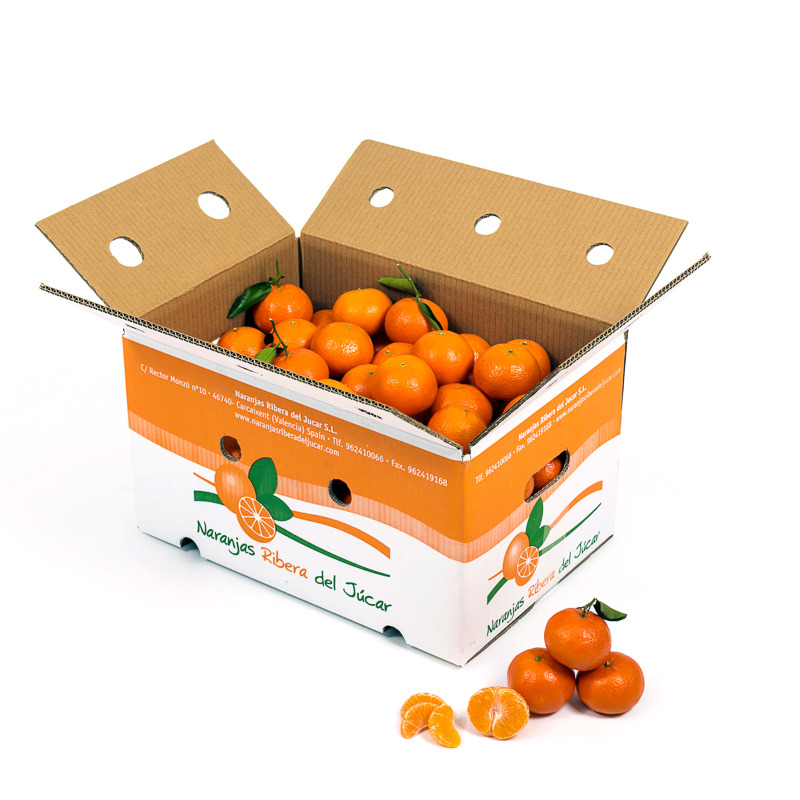 We grow these great tangerines with all our care and refinement, so that you can get as much their outstanding properties. We strictly supervise the whole process so that only the best of our extraordinary tangerines, get your table. Taste the difference! Delivery and VAT included in our prices. Orders requested before 12 AM will we harvested and prepared the same day for next day morning delivery according to following Delivery figure, taking into account that orders requested on weekends will be delivered on Tuesdays. Orders made after 12 AM will be harvested and prepared the next day according to following delivery Figure.